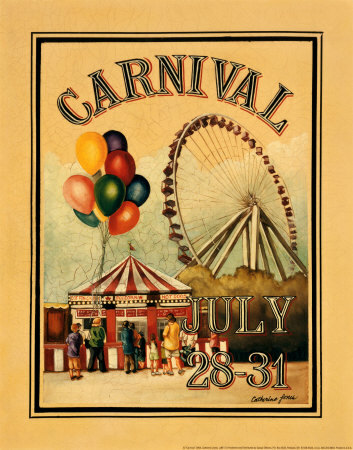 The July 2014 Biblical Studies Carnival will be hosted by Jonathan Homrighausen at his fine blog Linguae Antiquitatum. Consider this your official encouragement to send Jonathan links to blogs of interest published in July. Send him an email (jdhomrighausen at gmail.com) or leave a comment on Linguae Antiquitatum with a link. July is always a slow month for BiblioBlogs, so I am sure Jonathan would appreciate your suggestions. What are the blogs you read this month which contributed to the discussion of biblical literature theology, and culture? What posts made you think more deeply? I am always looking for volunteers to hose the Biblical Studies Carnival. I need someone for November 2014 (December 1) and December 2014 (January 1), and any month in 2015. So e-mail me (plong42 and gmail.com) and pick your month! Carnivals are a great way to attract attention to your site if you are new blogger, but more importantly it gives you a chance to highlight the best and the brightest in the world of BiblioBlogs. Unlike Timothy, Epaphroditus is only known from this letter. Paul praises him highly as a valuable co-worker. We know virtually nothing about him from Acts other letters. His name was common in the first century and is related to the goddess Aphrodite. Paul calls him “brother” and “fellow-worker.” To refer to a believer as brother is not unusual, Paul describes the body of Christ as a new family in many places. Epaphroditus is more than family, he is a co-laborer with Paul in the service of the Gospel. He also calls him a “fellow soldier” (συστρατιώτης, cf. Phlm 2 to describe fellow ministers). Paul occasionally uses military metaphors to describe ministry, in this case the Philippian church would have understood the honor implied by this term since some in the church would have been retired soldiers. A soldier could be honored with this term, to be a fellow-soldier with a commander for example (Polyaenus 8, 23, 22). Epaphroditus was a “messenger and minister” from the church at Philippi sent to help Paul during his imprisonment. “Messenger” is an apostle (ἀπόστολος). Does this mean Epaphroditus was an Apostle like Paul and the Twelve? It is unlikely he received a commission from Jesus as did the Twelve, Paul or perhaps James. Anyone who was sent as a representative of a group could be called “an apostle,” which simply means “someone who is sent,” a delegate or envoy. In Acts 11, Barnabas is sent from Jerusalem to Antioch in order to “represent” the apostolic community when the Hellenistic Jews begin expanding into the Diaspora. To avoid this confusion, the ESV translates the word “messenger,” which might imply a much lower status in English than Paul intended. The church heard Paul was under house arrest in Rome and in need of assistance, so Epaphroditus was sent from the church to Paul as their representative. The second title Paul uses is minister, a word with certain connotations in American English that may not be helpful here. The word (λειτουργός) is not used for a Pastor, but for a civil servant or administrator, often in the service of a cultic center or temple (BDAG). Perhaps the term was used in order to give Epaphroditus more honor, since the word is used of Greco-Roman officials (cf. Rom 13:6). It is also likely the word was chosen to highlight what Epaphroditus did for Paul, he delivered a gift and at least intended to serve alongside him in Rome for some time. Since Paul cannot return to the city and Timothy will be delayed for some time, Paul sends Epaphroditus back to the church. Why was Epaphroditus sent back to Philippi? The text says Epaphroditus was very ill and may not have recovered to full strength. He was “sick near to death,” although the nature of his illness is not specified. Travel from Philippi to Rome was dangerous, not only from brigands but also from all sorts of illness one would not encounter at home. This could be dysentery, for example, would be life threatening on the road to Rome! Paul asks the church to receive him with joy, possibly a hint that his mission to assist Paul was not successful. We cannot know the terms of Epaphroditus’s original mission to Paul, but his return might be suspicious to some in the church (“we paid you to go help Paul and you failed.”) Contemporary Christianity may over-emphasize spectacular stories of missionaries who physically destroy themselves to serve God. Sometimes circumstances are such that a person cannot serve in that way, but this is not a “failure” at all! Epaphroditus is another example of humble service, but in his case the service was cut short by physical shortcomings. Paul does not consider this a failure, Epaphroditus is serving others humbly to the best of his ability. Philippians 2:19-30 strikes some readers as a digression. After one of the most theologically dense passages in the New Testament, Paul spends two paragraphs in the middle of his letter to talk about travel plans with no obvious theological content. Since Paul usually mentions travel place at the end of the letter, some have suggested the letter originally ended at 3:1. This means the contentious section beginning in 3:2 is from another letter, and the “thank you note” in chapter four is a third letter. But this section of the letter is not unrelated to the great theological content of chapter 2:1-11; Paul is offering two additional examples of people who are serving humbly like Jesus (2:5-11) and Paul (2:17). Timothy and Epaphroditus are examples of “having the same mind” as Christ Jesus (2:1). Timothy is the most well-known of Paul’s co-workers and co-author of the letter to the Philippians. Timothy first appears in Acts 16:1-5 as a companion of Paul. Timothy was a companion of Paul since the second missionary journey. He was from Lystra with a good reputation among the Christians in the area and Paul often sent him to churches as his personal representative. Paul describes him in Philippians with very affectionate terms. Timothy is like a son to him, “no one like him,” and someone who has served alongside him for a very long time. In fact, Paul says Timothy “of the same mind” (ἰσόψυχος, 2:20), a word only appearing here in the New Testament. It has the sense of having things in common, but can mean “peer.” Paul calls Timothy his “colleague,” someone who has the same concerns and interests he does. It may be a coincidence, but the word Paul chose is a compound using ἴσος, the word he used to describe Jesus’ equality with God. Similar Jesus’ equality with God, so to Timothy has the same mind as Paul. Paul would like to return to Philippi soon, but since he remains under house arrest in Rome he will send Timothy as soon as he can. Why is Paul sending Timothy to Philippi? It is possible Paul’s imprisonment has raised questions among the Christians in Philippi. Perhaps they were concerned the advance of the Gospel was hindered by the long house arrest, as the opening prayer of the letter seems to imply (1:3-11). It is also possible they have had no news from Paul as a result of Epaphroditus’s illness. Since the church sent a gift to Paul with Epaphroditus, Paul may be concerned they think was ungrateful. Timothy’s presence would deal with any hard feelings about the use of the gift from Philippi. Timothy is an example of genuine, humble service. First, Timothy is genuinely concerned about the church. A customer service representative will usually express concern, but just how concerned are they really? Timothy is as concerned with the needs of the church as Paul is, since they are “of one mind.” This is not a fake concern put on by someone seeking favor, but a real interest in the people at Philippi. Second, Timothy seeks the interests of Jesus Christ rather than his own. Verse 21 says that “they all seek their own interests,” but there is not subject in the immediate context. This is another hint of the self-serving minsters from 1:15-16, or possibly the opponents in chapter 3. Since Timothy seeks the interests of others (in this case, the Philippian church), Timothy is living a life worthy of the Gospel and therefore is quite counter to the culture of Rome. Third, Timothy has been “proven worthy,” as the church is well aware. The noun (δοκιμή) refers to a test of character in order to determine how genuine that character really is (2 Cor 2:9, for example), in Rom 5:4 the word is simply translated “character.” Just gold or silver has to be tested in order to determine quality and value, so too a person’s character is shown as they pass through difficulties and trials. Think about how people’s personalities change when they pass through hard times. That is when the “true character” is revealed. Everyone knows an example of someone who appears to have been a “good Christian” (whatever that means), but when they are faced with difficult problems they begin to question or turn away from their faith. 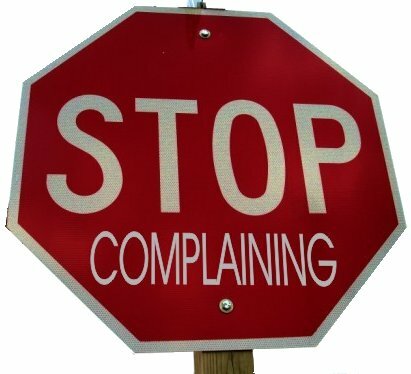 The first command Paul gives in order to “work out your salvation,” is not do things without grumbling. This seems odd, since for most modern Evangelicals there are far worse sins than grumbling! Paul is, however, making an allusion to the wilderness Tradition and the grumbling of Israel. Every Sunday School kid knows that Israel grumbled in the wilderness (or, if you are old enough, “they murmured,” cf. 1 Cor 10:10). The noun (γογγυσμός) refers to under-the-breath complaining, “an utterance made in a low tone of voice,” whispers and secret talk (BDAG), always with a negative connotation. Imagine trying to get a bunch of Junior High students (who are all about looking cool) to play a particularly dumb looking game. When they are in JrHigh, you can actually hear the rolling of the eyes. The muttering and whispering complaints start right away. “Disputing” can refer to a rational exchange of ideas, offering of various opinions in order to discuss an issue. This sounds nice, but in the New Testament the word is usually synonymous with quarreling. In the context of the wilderness generation, the command they are disputing is God’s commands as revealed through Moses at Sinai! In the wilderness God told the people to go and take the land, but they complained and disputed that command (let’s go back to Egypt, let’s camp here, etc.) Again, think of that pack of JrHigh kids, all offering reasons why they are not going to do what you told them to, offering excuses and alternatives. Chaos will ensue! Because of their grumbling and complaining, the wilderness generation is usually called a “crooked and twisted generation.” The first noun (σκολιός) refers to being twisted, usually morally. Peter used the word in Acts 2:40 to refer to Israel in their rejection of the Messiah, Jesus called that generation “wicked and adulterous.” The second noun (διαστρέφω) is another vivid metaphor for the present world, it refers to something that is deformed or distorted, perhaps misleading. Paul used the word in Acts 13:10 to describe Israel’s on-going resistance to the Holy Spirit. By setting aside the distorted attitude of the Wilderness generation, the believer will be acceptable on the day of Christ. Blameless (ἄμεμπτος) is used in Gen 17:1 to describe Abraham, 12 times describing Job. In both cases, the men can be described as having moral character, but they are not perfect or sinless. There is nothing in their character or behavior that might be considered “worthy of judgment” before the Lord. Innocent (ἀκέραιος), a word used to describe something that is not mixed with some other substance, “pure.” Gold, silver, and platinum are often extracted from the same ore, but they are more valuable if they are separated. If the right process is used, the extracted gold is more pure and therefore more valuable. Without blemish (ἄμωμος) is a close synonym for blameless (translated as such in Eph 1:4, “holy and blameless”). The word is used for a lamb brought to be sacrificed (Num 6:14, for example). The one who is blameless on the Day of Christ is simply a child of God! Paul does not say here “if you achieve a 75% rating on your holiness score, you get to go to heaven.” He says that you will please your Father on the Day of Christ because you are his loved child! In Phil 2:12, Paul said believers ought to “work out” their salvation in fear and trembling. I suggested in a previous post that Paul’s point in this very difficult verse is something like “cultivate your salvation in order to bear fruit on the Day of Christ.” God saves by grace through faith, adopts us into his family, and then creates an environment for his children so they are able to bear the kind of fruit that pleases their Father in heaven. 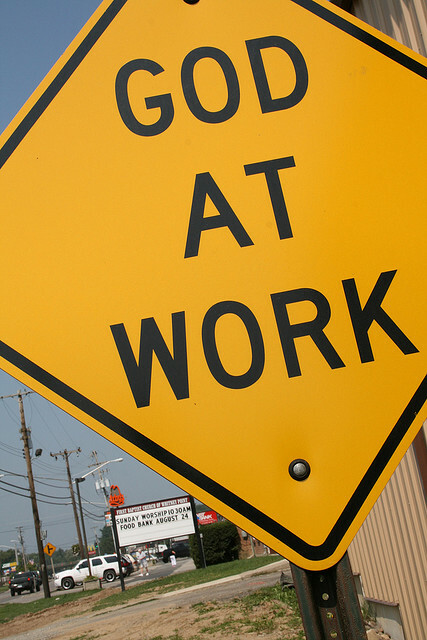 This work/fruit is for God’s “good pleasure,” not ours. The noun (εὐδοκία) has the sense of being pleased with someone, perhaps as a parent is pleased with their child’s successes. I have attended several piano recitals and honestly, no one plays as well as my kid. All the others are really bad. Since I am a typical parent, I am “well pleased” when my child plays, whether she is the best or not! If the believer is to “work out their salvation in fear and trembling” and whatever work they do is for God’s pleasure (not theirs), does this mean God is going to command us to do things that are unpleasant to us? Something dangerous? Something harmful? Too many Christians dread service to God because they think God is out to torture them with some horrid and embarrassing task. In the context, Paul has just finished describing the humility of Jesus as he was obedient even to death on the cross. In verse 17, Paul himself is obedient even to the point of imprisonment and death. So yes, God might very well expect you to be obedient to him in a dangerous situation. But looking ahead to two more examples in the letter, Timothy and Epaphroditus are both examples of humble service and obedience to God’s will. Both were willing to do what was required to fulfill their calling. In the context of first-century Philippi, the fact that the believers are separate from the world may mean they are facing opposition. Perhaps they are suspected of disloyalty, for not being good being good members of the Empire, or at the very least, they are really quite weird! Different was dangerous in the Roman world, so to serve a God that did not have a temple or priesthood, to reject the gods of one’s father or the gods of the community, was to put yourself in danger! Obedience to God does not necessarily mean he is going to send you to die in Africa; humble service is the way the child of God ought to live their lives all of the time. That might mean living a life that challenges the assumptions of a prevailing culture, but it usually means living a life dedicated to God regardless of the situation (Phil 4:10-13 will make this even more clear). In fact, it in the comfortable Western church, it is easy to say you are willing to be a martyr since it is highly unlikely you will ever have to give your life for Christ. Honestly, which is harder, saying you are willing to give your life in the service of the Gospel, or being kind to your neighbor? Treating someone with a significantly sinful lifestyle with respect and love? Humbling serving someone who is completely undeserving of respect and completely unaware of your sacrifice on their behalf? Paul’s command to “work out our salvation” might come as a surprise (v. 12). Paul is so adamant elsewhere that we are not saved by works, but rather grace through faith. In fact, this verse has been the source of a great deal of post-Reformation theological discussion. But Paul does is not talking about working for your salvation, or working to keep your salvation, but rather to continue obeying God, as the members of the church at Philippi are already doing. Paul assumes the church is already obedient to God’s commands and they are already following the model for obedience is Jesus (vv. 5-11) and Paul (v. 17). To “work out” (κατεργάζομαι) often refers to producing something agriculturally, perhaps “cultivate” fruit is a possible source for this metaphor (LXX Deut 28:39, Ezek 34:3, 36:9, Odes 1:17). That is the point of the word in Romans 7:17-18, sin is like a seed that produces an evil behavior. People talk about “cultivating a relationship” in business. This means making contacts and doing little things that will eventually result in a sale. The goal is a sale, but there are dozens of smaller contacts along the way that build up to closing the deal. Salvation is a completed fact when someone accepts Christ as their savior, they are “justified” before God, but (obviously) they are not yet sinless nor have they arrived in Heaven yet. “Working out one’s salvation” can be understood as cultivating what God has already done so that it yields fruit at the appoint time. The believer is to cultivate their salvation with “fear and trembling.” Paul used this phrase in Eph 6:5 (“slaves, obey your masters with fear and trembling”) and 2 Cor 7:15, referring to how that church received Titus. In both cases there is a real fear of punishment for wrongdoing. The Old Testament occasionally describes salvation and service of the Lord in terms of fear (Ps 2:11, for example). There are a number of examples, however, of dread falling in the nations when they encounter God (Exod 15:16, Isa 19:16). Paul has already mentioned the church’s fear of oppression from the culture in 1:28, it is possible this fear and trembling refers to the dread the members of the church have as they face ridicule and pressure to conform to Roman culture. Even though Paul says we are to “work out” our salvation, it is God who is doing the work in the life of the believer (v. 13). The believer is not left to their own to cultivate their salvation, it is in fact God who “wills and works” in us. God is the one who is at work in the life of the believer, enabling the believer to grow spiritually. While he does not mention the Holy Spirit in this verse, this is exactly the same sort of thing we read in Galatians or Romans, that one is enabled by the Holy Spirit to do the will of God (Rom 12:1-2, for example). Remember the junior high science fair? I know a Middle School principal who called the Science Fair “parent’s projects” since most of the winning projects were largely the result of dads with power tools and too much time on their hands. A parent could do all the work, but they should not be proud of the child for winning the award, and the child will not develop the maturity and skills needed to succeed in life. But if a parent helps the child and provide them what they need to succeed, then the parent can be legitimately proud when their child wins the award and the child will grow from the experience (even if they lose to the kid whose parents cheated). In a very similar way, God provides the believer with all they need to succeed in their spiritual life, to “cultivate their salvation” and produce real fruit that will make God proud when he judges our works at the resurrection. We are more mature for the struggles we endured during that cultivation. Jesus humbled himself by taking on the nature of a human. 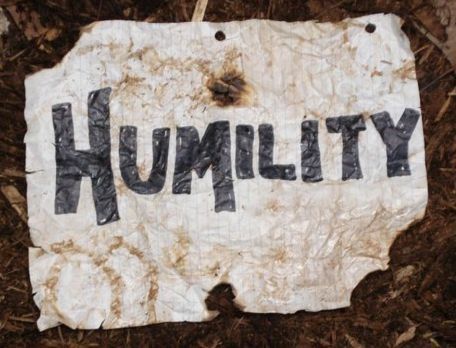 While humility is often seen as a virtue in modern culture, people did not “humble themselves” in the Greco-Roman world. Someone who was humble was lowly and weak, even servile. That man should humble or belittle himself is rejected. To suffer misfortune and humble oneself “is quite unnecessary, vain and irrational” (Plutatch De exilio, 1 (II, 599b). In the Hebrew Bible, to “be humbled” is associated with punishment. God humbles the proud (1 Sam 2:7). The word appears in LXX Isa 53:8, describing the humiliation of the suffering servant. Not only did Jesus become a slave, he was a slave who was executed by crucifixion, the most shocking horror in the Roman world. Jesus therefore goes from the highest place imaginable, equality with God, to the lowest, death on the cross. Because he was obedient and suffered innocently, God vindicated Jesus exalting him to the highest place imaginable. The verb Paul uses for “exalted” (ὑπερυψόω) is not the usual one in the New Testament, it only appears here, but it also in Ps 96.9 (the verb is repeated many times in Odes 8:52-88). It is possible Paul has this verse in mind in Phil 2:9-11, the Most High ὁ ὕψιστος of that verse is God himself, and he is exalted above the earth and far above all other gods. This exaltation refers to the resurrection (cf. 1 Cor 15), but also the ascension in Acts 1 and Rev 4-5. Because he was obedient and suffered innocently, God gave to Jesus the highest name imaginable. In the Roman world the name of the emperor was venerated as divine on coins and inscriptions. Yet Jesus has been given a name that is above every name, including the Roman emperor! And because he was obedient and suffered innocently, God will put everything under the Lordship of Jesus. Heaven, earth, and under the earth all will acknowledge that Jesus is Lord. 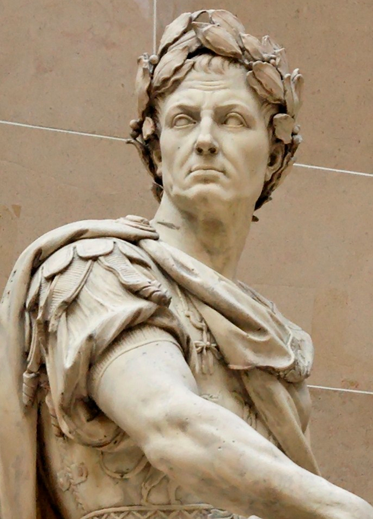 All this implies that Caesar is not the true lord of this world. Paul was not anti-Rome, although his gospel did subvert the social order by advocating Jesus as the Lord. As I read Paul, I think Hellerman (Embracing Shared Ministry, 168) is right that Paul is not consciously anti-Imperial, he in no way was advocating some sort of rebellion against the Empire. But the Gospel was so radical that it would erode the Empire if that Gospel practiced consistently. Perhaps the sad story of Church history is that by the time Christianity was the majority religion, it had become thoroughly Roman with respect to honor and status. Jesus is therefore the true Lord of this world and all of creation ought to recognize that lordship. It is quite remarkable that Paul never suggested the Christians openly rebel against Rome. That would have been a futile effort since there were so few Christians. What he did tell the Philippian church is that they ought to have the same attitude as Jesus. This sort of humility was counter to the Greco-Roman world and slowly brought down the Empire. More important, this sort of humility is counter to Western/American culture, even in the church. If Paul says “Jesus is Lord, Caesar is not,” should we also say, “Jesus is Lord, America is not”?